In connection with the possible holding of demonstration on European square and surrounding streets blocked the traffic. In the night from Friday to Saturday movement of vehicles on Yuzhnyi bridge will be partially limited. Militia blocked the passage on the European square in Kiev, which started a rally of supporters of Party of regions. Tomorrow workers of «Kievautodormost» will perform planned routine maintenance of the expansion joint (base unit) on the Yuzhnyi bridge transition through the river Dnepr. In the period from 09.00 AM 23.11.13р to 06.00 PM 25.11.13, workers of «Kievavtodormost» perform scheduled repair of asphalt covering the roadway Metro bridge over the river Dnepr. Tomorrow in Kiev will be limited to traffic on the street Mazepa (from Arsenalnaya square to the alley of Heroes of Kruty) from 13:00 to 15:00. On Sunday, the movement of vehicles in the first and second lane Moscow bridge will be partially restricted. Metropolitan traffic police informs, that from 20 to 22 November in connection with the breakthrough of the waterpipe on street Bulakhovskogo,5 will closed the traffic for all types of transport. Attention drivers! In connection with the reconstruction of the heating system in the street Umanska (Solomianskyi district), from August 20 to October 15, 2013 prohibited the movement of all modes of transport. Work on the reconstruction Peremohy avenue in the capital continues. 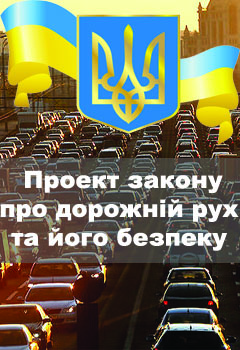 In connection with the celebration of the Day of the National Flag of the capital and 22 th anniversary of Independence of Ukraine in the city center will be limited to the movement of vehicles. Maxim Lutsk instructed to complete the repair of the roadway on the street Volgogradska earlier than planned. We remind road users that the reconstruction of the interchange at Poshtova Square.